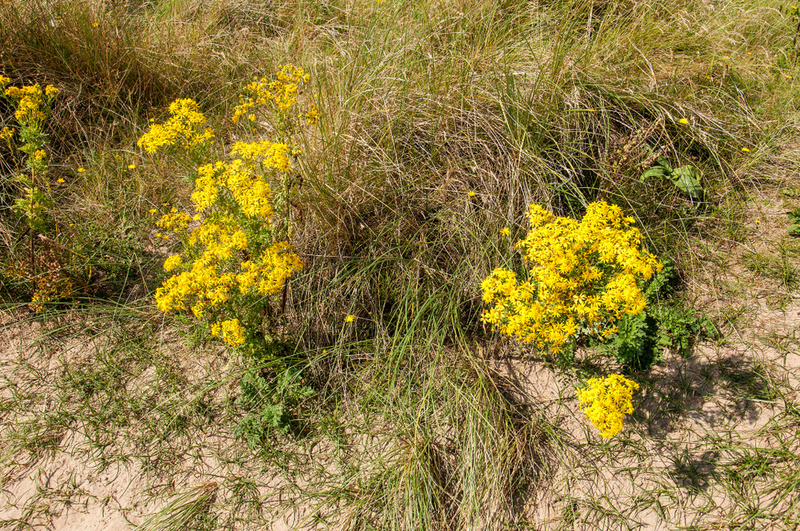 Ragwort, also known by its proper name of Jacobea Vulgaris, is a poisonous weed that can cause severe damage to a horse’s liver if they eat it. The damage caused by ragwort is often not apparent in the horse until it is too late, and so it is essential that you undertake some kind of ragwort control programme to help prevent animals from dying a very unpleasant death. Ragwort tends to appear between June and September and its seedlings have a notched spade shape leaf. The ragwort plant will develop into a rose shape with many leaves that have jagged edges. The leaves of the ragwort tend to be dark green in colour, but they can also be tinged with purple. During the second year of growth, the plants will start to produce flowers with large dense yellow heads. After they have flowered, the plants die off and the seeds are then dispersed in the wind. Ragwort is not very tasty actually, it is quite bitter, but horses and other animals may be attracted to it if it is their field. It is at its most poisonous when it has died off and so it is essential that you undertake a complete site clearance if you do spot any. The actual effects on a horse of them eating ragwort are quite distressing. You may not notice anything straightaway, but the effects can build up over time and the horse will start to appear lethargic and they may lose weight even though they are consuming the same amount of food that they normally do. They may also develop patched on their skin that looks like sunburn. Eventually, they will suffer from severe stomach pain, they will lose coordination and they may even go blind and become fatally ill. If you only have a small number of ragwort plants on your property then you can remove them by hand but make sure you wear gloves. You can also purchase specialist ragwort removal forks from most good gardening centres. You must ensure that both the plant and the root are completely removed in order to prevent regrowth, and if your skin does come into contact with the plant wash yourself immediately with soapy water.